Hi, it appears you already have the latest version of Zebra BI Viewer! No need to update. ... and enjoy the new features! Zebra BI now supports copying and moving worksheets into another workbook (or a new workbook)! This was one of your most frequent requests, so we're very happy it now works natively. 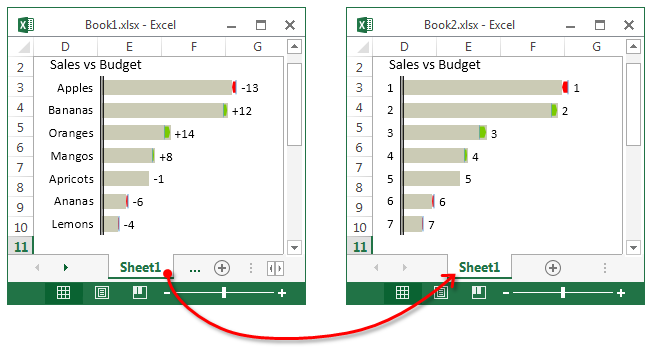 Just copy/move your sheets as you would normally do in Excel. We've improved the label positioning on charts. Especially when the charts are small. Zebra BI is now available in the Portuguese language! Page Templates make it really easy for you to create standardized report pages or slides. We added several page templates for reports with multiple charts, classic table-chart combinations, ROI trees, etc. They are all perfectly sized to fit PowerPoint slides or scale exactly to A4 paper size. Just click "Add Page" and choose the most appropriate template! It gets even better, you can customize the templates or develop your own and then share it with other people. Limiting outliers in plus-minus variance charts. Now you can set a limit for max or min value and every value that exceeds those limits gets cut off at the limit and displayed with an arrow instead. The Croatian translation. If you're a Croatian-speaking user, you can change your interface language in Info > Language in the Zebra BI ribbon. Contribution charts now support subtotals / subcalculations! Added "=" as a fixed column identifier in waterfall charts (both "X" and "=" can now be used). 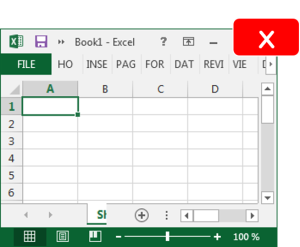 Improved calculation engine check for 64bit versions of Excel. Fixed a problem with sorting on worksheets with long worksheet names. Fixed an issue with ref error when all data for a contribution chart is deleted. Fixed an issue with semantic axis and delimiters when grouping Part Whole charts. Fixed an issue with ungrouping Part Whole charts. You can now copy any worksheet and then continue working on the copy with Zebra BI! You simply must try this! 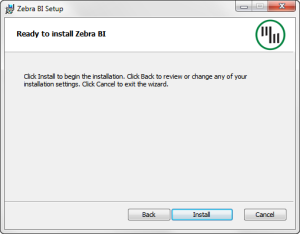 Test yourself: do you know all the key features of Zebra BI? Improved positioning of chart and report settings icons while moving charts. Improved design of user forms. Fixed a problem with grouping waterfall charts without categories. Fixed the legends in part whole chart when the series do not have names (empty legend). Fixed a problem with grouping and ungrouping multiple structure charts. 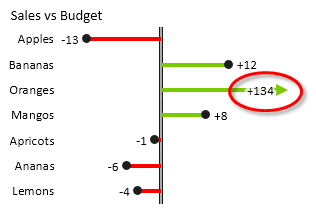 Fixed axis labels position on structure charts when in multiples. Fixed the axis label position on time charts when ungrouping.